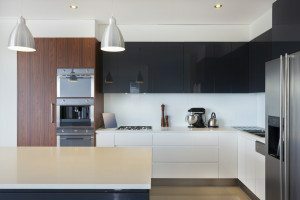 Some wonderful Utah appliance rebates have become available recently, finally putting that new kitchen well within reach. You can take advantage of one or more of the programs, allowing you to get cash back for upgrading to energy-efficient appliances and equipment for your home. That’s money in your pocket not only in rebates, but energy savings as well. The main appliances in your home, including your refrigerator, washing machine, dryer and dishwasher, account for a large chunk of your monthly utility bill. If any one of those machines is more than 10 years old, you’re probably spending a lot more money on energy than you need or want to. The federal government has minimum energy standards that today’s appliances must meet. This means that newer versions of washers and refrigerators don’t use as much energy as the older versions, and that’s exactly why you should think about upgrading. On a larger scale, energy-efficient appliances don’t just save you money, they are also better for the environment. The less energy you use, the lower the demand on power plants and fossil fuels, and that translates to less pollution in the environment. That’s good for everybody. Saving money and increasing the value of your home on top of that is simply the bonus! In Utah, you can save money in several ways by upgrading your appliances. Rocky Mountain Power offers rebates on washers, refrigerators and freezers. The ThermWise program offers rebates on washing machines as well as water heaters and HVAC systems. Even better, if you recycle your old appliances, Rocky Mountain Power (RMP) offers additional rebates. If you replace your refrigerator, for example, RMP will give you a $100 rebate on the new appliance plus $30 for recycling your old unit. Your average annual electricity savings on your new refrigerator alone is estimated at $150. With those numbers, it’s easy to see why upgrading your appliances makes financial sense. If you don’t want to stop there, rebates are available for a variety of other home upgrades too, including smart thermostats, upgraded insulation and windows, and even energy-efficient light fixtures and bulbs. You can go online on the RMP and ThermWise sites to check out all of the incentives available today. They’re simple to navigate and easy to apply for once you’ve upgraded your home. 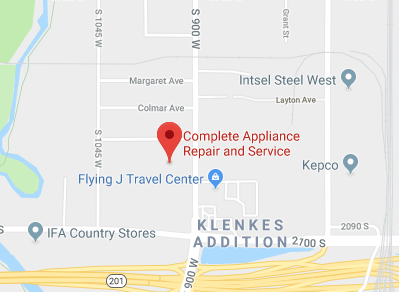 Complete Appliance Repair in Salt Lake City can assist you with selecting the right appliances for your home, and they can install them for you, quickly and efficiently. Contact Complete Appliance Repair today for more information and to get started taking advantage of these Utah appliance rebates. This entry was posted in Blog and tagged Appliance Rebates, Energy saving tips, Utah Appliance Rebates on June 30, 2015 by admin.